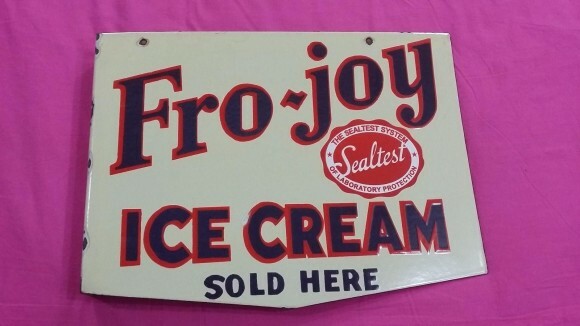 This sign is for Fro Joy Ice Cream. The sign’s colors are red, white, and blue. The text on the sign reads: Fro-joy ice cream sold here Sealtest. The sign shows a seal to the right with text surrounding.